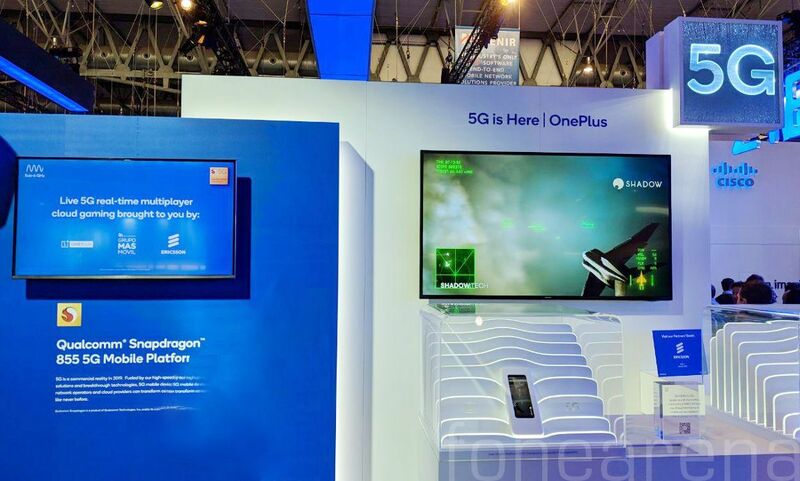 MWC 2019: It's all about the IP, baby! It’s the ones that perfectly understand the needs of the future, of course. For example, we spent most of our time at the Qualcomm booth, which has a plethora of demos and presentations and almost every single one of them were about addressing the needs of the present and the future. With Qualcomm, there was more about the future of course. There was a whole wall of presentations, which occupied the main attention of the attendees, and it was full of research and future potential. In this case, of 5G standardization and what Qualcomm is doing about it. At the end of this video, we talk about something called Spectrum Sharing, which is literally at least 4-5 years away from implementation. So, why does one want to learn about something so far away? That’s the beauty of a show like Mobile World Congress. Potential is showcased to grab attention, and the competition is in showing which company can show the highest potential in addressing future needs. Spectrum sharing in the context of 5G release 16 will use unlicensed spectrum to expand the already great prospects of 5G. As you might have seen already, Boundless XR showed off the possibilities of unleashing 5G on a technology that hasn’t reached mass adoption yet. In all of this, we can see back into the past, and that is what we call intellectual property. It all starts with an idea, an imagination of what the future is going to look like and what will succeed in the market. It is all about thinking beyond the limits of our imagination, pushing it so forward while being rooted to the problems that triggered this imagination. There was one cool demo we saw that potentially realizes what we saw in the climax of the Batman Dark Knight movie. Ultrasonic technology as a tool of communication, positioning and a lot more. It might sound normal, but the intellectual effort is so crazy that we cannot even comprehend how much time it took to develop something like it. Another intellectual property that got our attention. In the end, shows like Mobile World Congress are just that. A big showcase of IP from various companies that compete with each other for our attention. Modern technology, based on semiconductors processing data in bits has done wonders to our society. While the churn is still ongoing, it is time to realize that it’s all about the IP, baby. This is something I realized when I tried to answer the question of “How did Qualcomm get 5G to market so fast?”. Well, it’s because they own the IP to a lot of things that contribute to the standardization of 5G. Literally IP is their biggest selling point. So many patents are filed by their employees, it’s not even funny. These IPs contribute to so many ideas that are worked on for so many years, in conjunction with the many partner companies that have developed a symbiotic relationship, furthering business interests. So, this whole ecosystem works together to further all the ideas, that are always aimed at addressing the future needs of the market. An idea succeeds if it addresses the needs, it fails if it doesn’t. The game continues like that, and we should feel really grateful that we get to live in such times when a market of ideas tries to grab our attention. That’s pretty much how I would sum up Mobile World Congress, a market of ideas. But what do you think? Agree with our assessment or have new ideas? Let us know in the comments section below.